Renée Hirschon was educated at the universities of Cape Town, Chicago and Oxford. 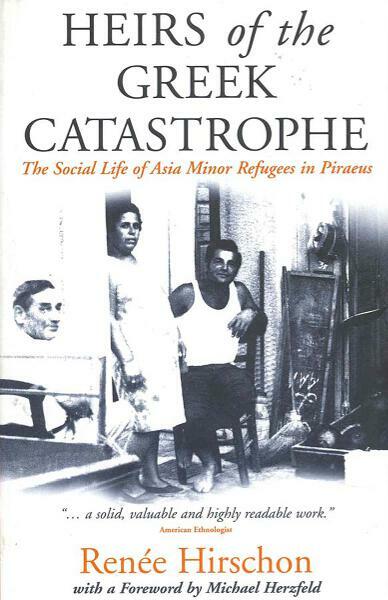 Intensive fieldwork among the Asia Minor refugees settled in Piraeus resulted in the monograph "Heirs of the Greek Catastrophe". She has been Senior Lecturer at Oxford Brookes University, and Professor of Social Anthropology at the University of the Aegean. She is currently Senior Research Fellow at St Peter's College University of Oxford, Senior Member at St Antony's College University of Oxford and Research Associate at the Institute of Social and Cultural Anthropology, University of Oxford.